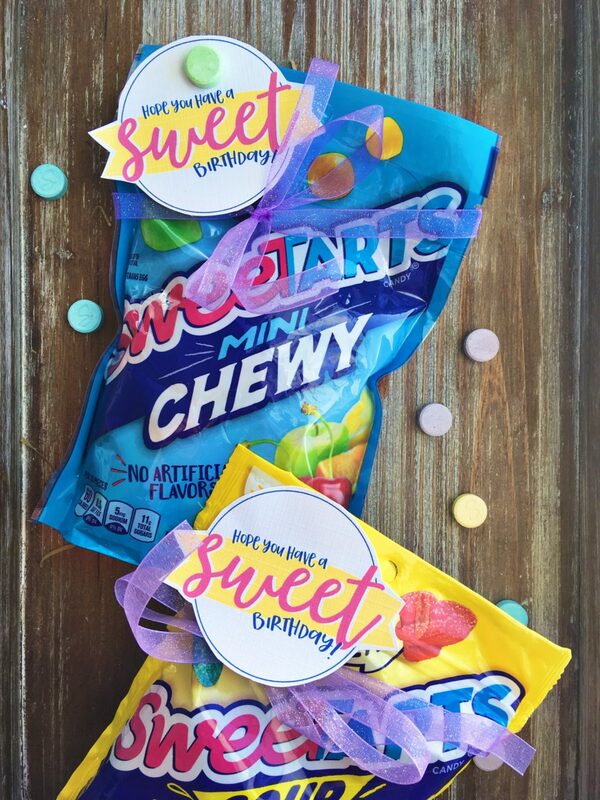 A free happy birthday gift tag printable – great on SweeTarts or any candy! Everyone has a birthday. There’s no way around it. Believe me, I tried every way possible to avoid turning 30 last year. 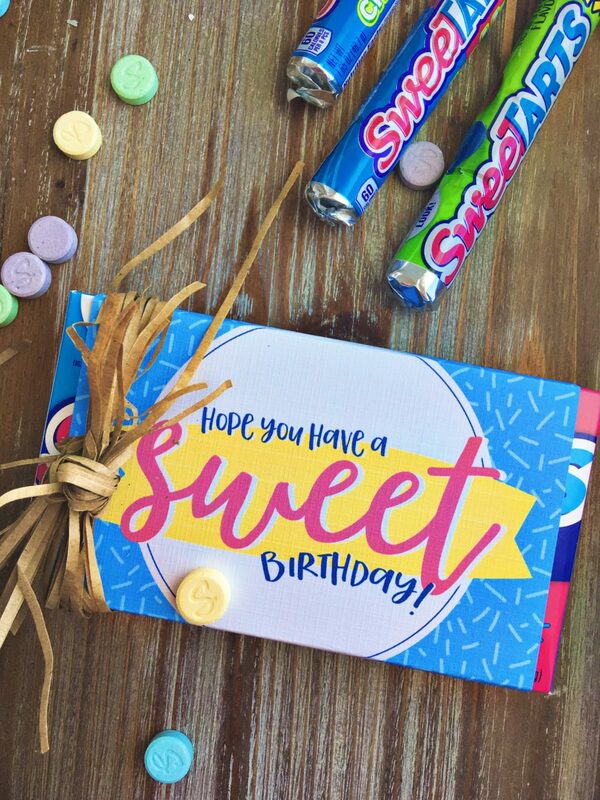 So do your friends a favor and shower them with sweets on their birthday with this happy birthday gift tag printable! 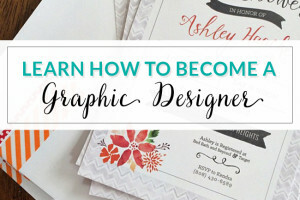 When I was designing these gift tags I wanted to come up with a design that was suitable for boys and girls, young and old! 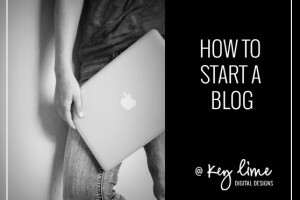 AND SIMPLE! 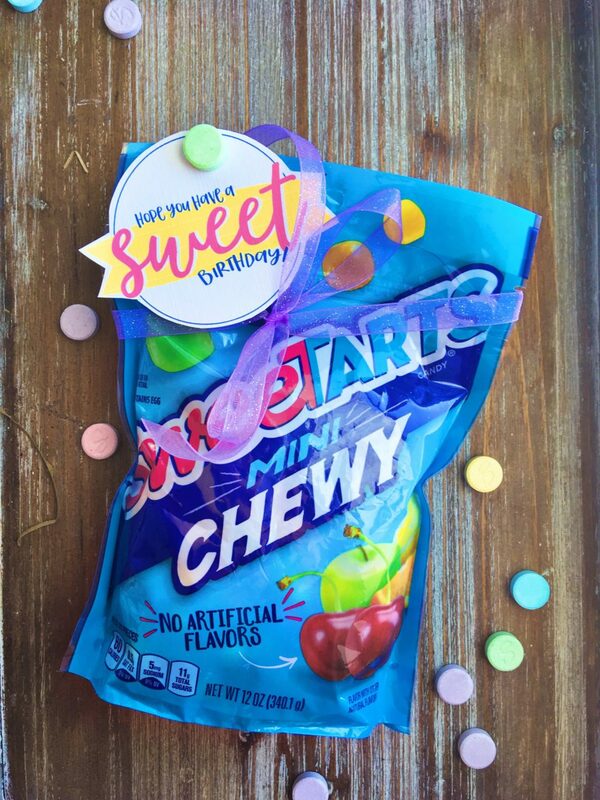 You can attach this gift tag to any variety of SweeTarts. Or honestly, you can attach it to any type of sweet treat. Candy bars, cupcakes, cookies, or even a pack of gum! 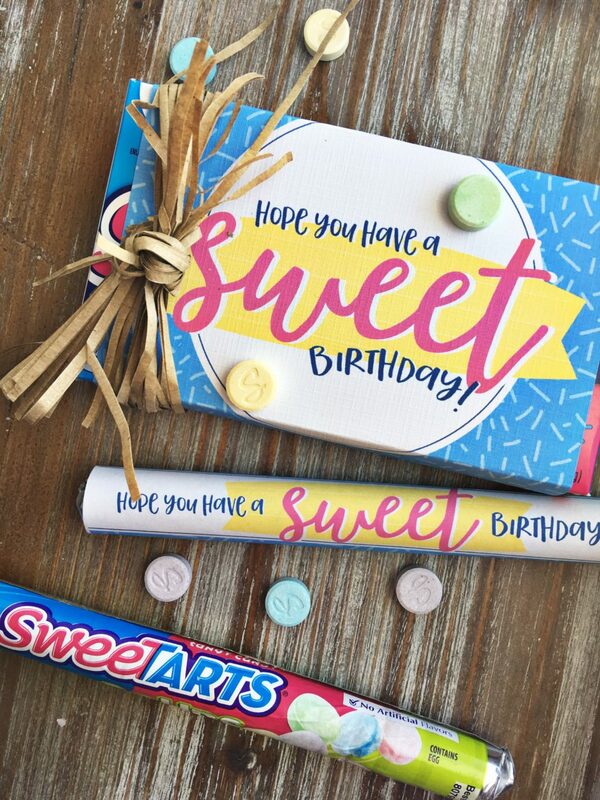 To assemble just print out the birthday gift tags, cut them out, tape on the candy, finish them off with ribbon or a bow! 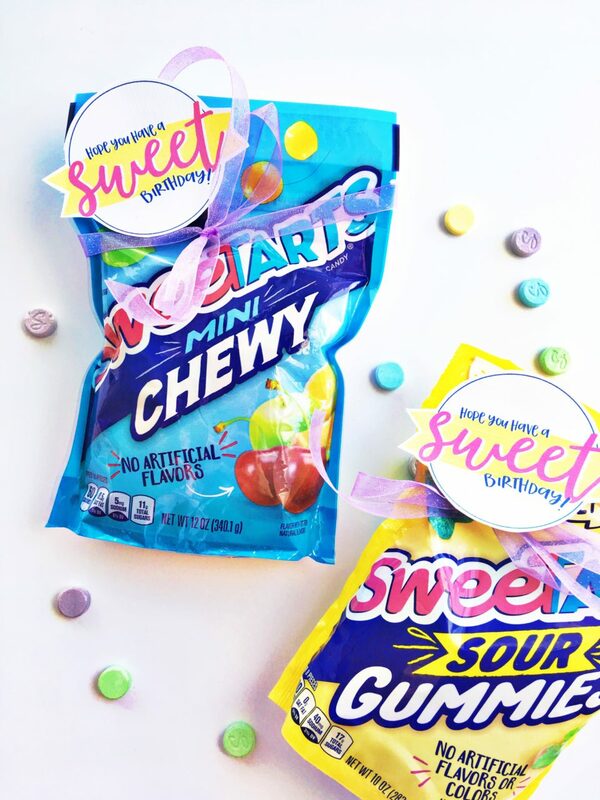 TIP: Buy a bunch of candy and get a handful of these birthday gifts all put together. Keep them in a box in your pantry or closet. Your friends will love these sweet treats! Go door bell ditch them, give them a hug, or sing Happy Birthday to them embarrassingly loud. Whatever makes you smile!